Malades and caregivers unable to attend the annual Lourdes Pilgrimage can experience “Lourdes in a Day” at the St. Peter Claver Church in West Hartford, Connecticut. The Day includes Reconciliation, Rosary, Washing of the Feet, Anointing Mass, Adoration and Exposition of the Blessed Sacrament, Benediction. Between 25 and 50 Knights, Dames, and Auxiliary provide malades and caregivers with the opportunity to receive the sacraments and join in prayer and spiritual growth. The Annual Lourdes in a Day Pilgrimage is jointly sponsored by the American and Federal Associations. This project originated in 2014. 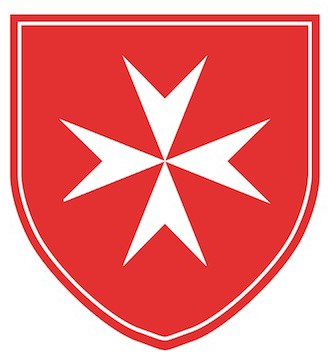 In Old Lyme, Connecticut, approximately 10 Knights, Dames, and Auxiliary join retired priests from the diocese of Norwich for Mass and dinner. This year’s Liturgy was celebrated by Chaplain, Bishop Michael Cote. Members prepare and serve the dinner and provide transportation for those in need of assistance. This project originated in 2016. Ten Knights, Dames, and Auxiliary provide needed assistance to women and children at drop in center. This project originated in 2017. This reentry program provides mentoring, employment assistance, medical help, and temporary housing to women at the Janet York Correctional Facility in Niantic, Connecticut. Each year, about 8-10 Knights, Dames, and Auxiliary assist at monthly Mass, provide weekly Bible studies, and conduct retreat days, all on the York campus. This project originated in 2008.